08-011 SHA DADX HABITAT — Active Construction, Inc. This NOAA project included 17 acres of wetlands estuary restoration along the banks of the Puyallup River. ACI’s work included construction and installation of the following storm water pollution prevention measures: soil erosion control, barrier fencing at four existing wetland areas, clearing, grubbing, ring levee construction, mass excavation of approximately 57,000 cy of soil, fine grading of levee, and habitat restoration. ACI performed re-channelization around the existing wet land areas, re-grading around the existing habitats, and incorporated the channeled areas around the existing habitats of the new and existing Salmon spawning areas. This project included the import of approximately 156,000 tons of blended material for levee construction. 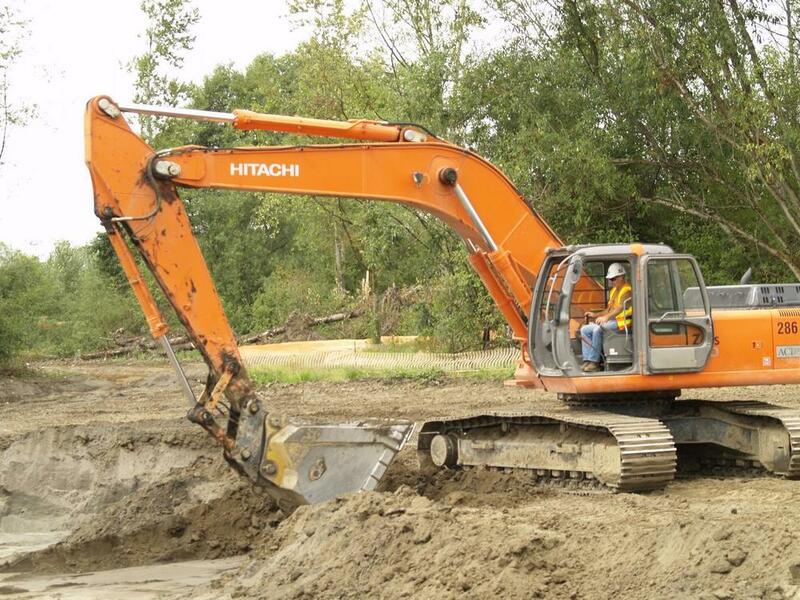 In addition to the habitat preservation ACI installed a storm sewer system. This project was awarded the 2008 Build Washington Award in the environmental division to the General Contractor – Wade Perrow Construction.